C-T Experts: Should Duke Retire Kyle and Nolan's Jerseys? Should Duke retire Nolan and Kyle’s jerseys? It’s a simple question, but the answer is very complex. 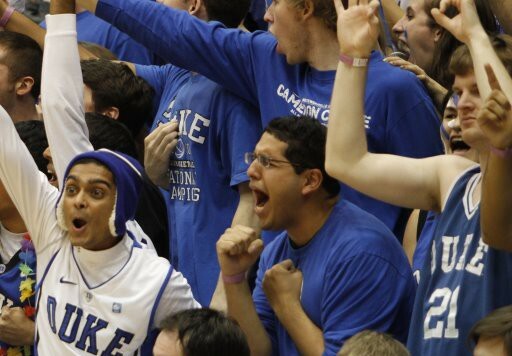 On a straw poll of 100 Duke fans, no doubt that at least 90% would answer in the affirmative –Retire their jerseys! But we often over-value the present to the devaluation of the past. Duke fan and media forums have picked up the topic as well, as have a number of local, regional, and even some national media sources. One problem, though — what if numbers and statistical comparisons aren’t the main criteria in measuring whether to retire a player’s jersey or not? What do I mean? Well, it’s “known,” almost as folklore or legend, in the Duke community that there are two main criteria for a player having his jersey retired. Players like Elton Brand were no doubt headed for jersey retirement, but chose not to stay four years. Other players like Trajan Langdon had four good years, but no national honors to show for it (only 2nd team All-America). A quick glance at Kyle’s resumé is quite impressive. He is top 5 in so many major stat categories (scoring, rebounding, etc. ), including being only the 4th player in Duke history to score 2,000 points and grab 1,000 rebounds. Obviously, winning the championship in 2010 sets him and Nolan apart from many other Duke classes. Potential Problem – No national award. If this is really a requirement for jersey retirement,how does Singler’s get retired? Maybe it’s an unwritten rule that is more of a guiding principle.Honestly, I’ve never found anything written in stone. But the legend says it’s necessary. All statistical discussions aside, since one of the only statistical categories he breaks the top10 is in FT percentage, Nolan had a dominant senior season. One could argue Kyle never had adominant season (though 2010 was darn good). Nolan already has a national award with the 1st team All-America honor. He’s also a candidatefor several NPOY awards. Note: Merely winning a national award and graduating do not guarantee jersey retirement at Duke. Note: Every player to graduate and win National Player of the Year has had his jersey retired. So, where do I land? Nolan and Kyle, other than sharing the National Championship, have had very dissimilar careers–Singler, the ultra-consistent 4-year standout player, and Smith, the ever-evolving player withthe dominant senior season and the All-America nod. Package Deal? I wouldn’t be surprised if Nolan and Kyle are a package deal, meaning, either they both get retired, or neither does. I mean, if only one goes, how do you distinguish between them? Nolan has the national award with the outstanding season, while Singler has the career stats. Only time will tell. 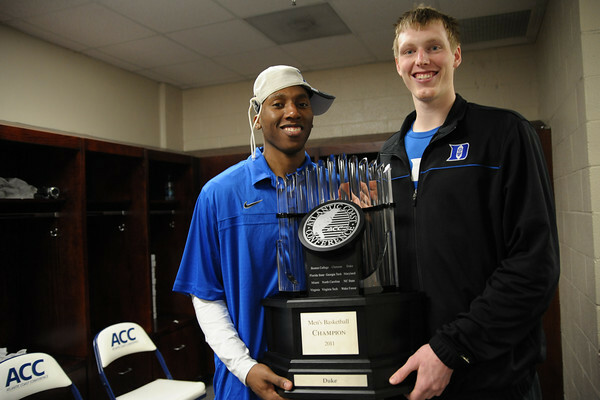 Regardless, Nolan and Kyle will forever be two of the most beloved Duke players. Brandon Godwin is the first writer in our Crazie-Talk Experts series. (#CTexperts on Twitter). Check him out on his Twitter–he’s an excellent Duke fan like (most of) you. Check Crazie-Talk every Friday for a new #CTexperts article. Our loyal readers will discuss Duke, the ACC, the NCAA, and all the greatness of college basketball.